Summary: Researchers have identified an over accumulation of iron in the mitochondria of mice genetically engineered to have Huntington’s disease. Scientists at the University of Wyoming have found that mice engineered to have Huntington’s disease (HD) have an over-accumulation of iron in their mitochondria. The research identifying a pathway for the neurodegenerative disease also has relevance to understanding related disorders such as Parkinson’s disease, Alzheimer’s and Lou Gehrig’s disease, says Jonathan Fox, a professor in UW’s Department of Veterinary Sciences. The article, “Brain mitochondrial iron accumulates in Huntington’s disease, mediates mitochondrial dysfunction, and can be removed pharmacologically,” was published online in the journal Free Radical Biology and Medicine. Others involved in the research were postdoctoral scientist Sonal Agrawal, in the Fox laboratory in the UW College of Agriculture and Natural Resources, and Baskaran Thyagarajan, an associate professor in the School of Pharmacy. HD is an inherited genetic disorder that causes neurons to die in brain areas important for movement and cognition. Symptoms become progressively worse and include involuntary movements, changes in behaviors and cognitive decline, Fox says. There are no treatments that delay disease progression. The Fox team experimented with a drug that crossed the mitochondrial membrane and removed excess iron, or it may bind with the iron and make it nontoxic. Mitochondria are the key site of energy production and also have many other functions critical for cell health and survival, says Fox, who participates in the Neuroscience Program at UW. Mitochondria are a main site of oxygen use in cells. The Fox lab members collaborated with Thyagarajan, who has expertise in evaluating mitochondrial functions, to measure oxygen consumption in mouse HD mitochondria. They found oxygen deficits in HD mitochondria with unusual amounts of iron. The research suggests iron accumulation in mitochondria interferes with respiration and oxygen uptake, and that this may contribute to neuronal malfunction and death. Excess iron in cells can be detrimental, but adequate iron supplies also are essential to many cell functions. The flip side is that too much can be toxic. Cells are challenged to provide iron for functions that require it but also prevent toxic accumulations. “In HD, we think that normal iron metabolism is disrupted, and these adverse effects of iron are allowed to continue,” Fox says. He says, however, that this pathway is not the only factor that drives HD. Fox says the research helps lay the foundation for developing drug therapies. Fox’s research involves studying mainly mouse models of HD; however, the researchers also obtain human brain tissue collected at autopsies and supplied by a National Institutes of Health-supported brain bank. The Fox team experimented with a drug that crossed the mitochondrial membrane and removed excess iron, or it may bind with the iron and make it nontoxic. NeuroscienceNews.com image is adapted from the University of Wyoming video. The scientists also are interested in environmental factors that can affect HD. Their latest paper adds to previous work showing high iron intake by HD mice early in life promotes the disease in adulthood. Still, he says the researchers in his lab are interested in pursuing two areas. They want to further understand the mechanisms by which iron causes mitochondria dysfunction in HD. The other, broader aspect is that HD is part of a group of related diseases, and “while they don’t have identical mechanisms, they do have some important features in common,” he says. “So, we are interested in determining if mitochondrial iron accumulation occurs in models of Parkinson’s, Alzheimer’s and brain aging. We are interested in expanding beyond HD mouse models,” he says. Image Source: NeuroscienceNews.com image is adapted from the University of Wyoming video. Video Source: Video credited to University of Wyoming. University of Wyoming “Excess of Mitochondrial Iron Linked to Huntington’s Disease.” NeuroscienceNews. NeuroscienceNews, 13 April 2018. 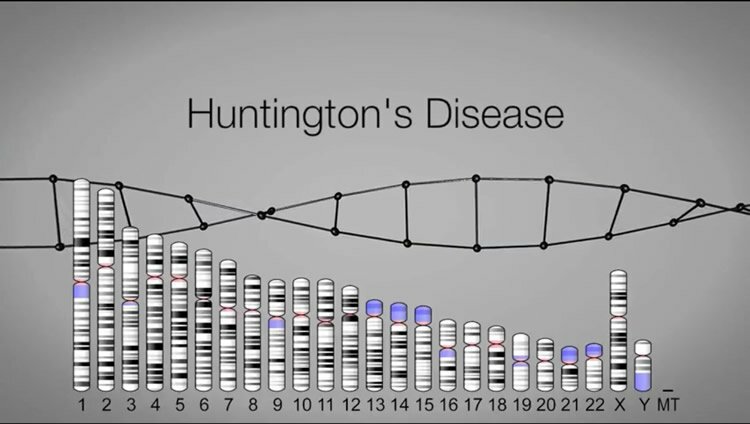 University of Wyoming “Excess of Mitochondrial Iron Linked to Huntington’s Disease.” http://neurosciencenews.com/mitochondrial-iron-huntingtons-8780/ (accessed April 13, 2018). Mitochondrial bioenergetic dysfunction is involved in neurodegeneration in Huntington’s disease (HD). Iron is critical for normal mitochondrial bioenergetics but can also contribute to pathogenic oxidation. The accumulation of iron in the brain occurs in mouse models and in human HD. Yet the role of mitochondria-related iron dysregulation as a contributor to bioenergetic pathophysiology in HD is unclear. We demonstrate here that human HD and mouse model HD (12-week R6/2 and 12-month YAC128) brains accumulated mitochondrial iron and showed increased expression of iron uptake protein mitoferrin 2 and decreased iron-sulfur cluster synthesis protein frataxin. Mitochondria-enriched fractions from mouse HD brains had deficits in membrane potential and oxygen uptake and increased lipid peroxidation. In addition, the membrane-permeable iron-selective chelator deferiprone (1 μM) rescued these effects ex-vivo, whereas hydrophilic iron and copper chelators did not. A 10-day oral deferiprone treatment in 9-week R6/2 HD mice indicated that deferiprone removed mitochondrial iron, restored mitochondrial potentials, decreased lipid peroxidation, and improved motor endurance. Neonatal iron supplementation potentiates neurodegeneration in mouse models of HD by unknown mechanisms. We found that neonatal iron supplementation increased brain mitochondrial iron accumulation and potentiated markers of mitochondrial dysfunction in HD mice. Therefore, bi-directional manipulation of mitochondrial iron can potentiate and protect against markers of mouse HD. Our findings thus demonstrate the significance of iron as a mediator of mitochondrial dysfunction and injury in mouse models of human HD and suggest that targeting the iron-mitochondrial pathway may be protective.